How many times in your life has God displayed Himself through others? It looked as a frame out of a movie. It was a beautiful summer day in July. My best friend and I was enjoying each others conversation while our children played close by. The years had been long since we had last met but distance and time can not hinder the gift of our friendship. Time had seemed to stand still between those years. To add to our blessed gathering there came a sweet sound of bag pipes that filled the air off from a distance. 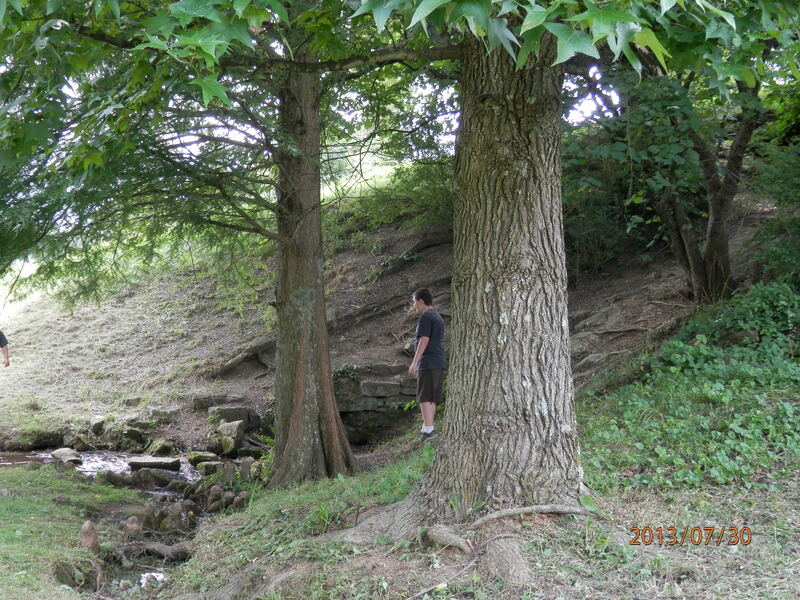 Our boys wanted to play by the creek below. So we walked around the pavilion and down into the valley. To have revealed to us a man standing on one side of the pond playing the beautiful music. I just love how God made this beautiful day into something extra special. Etching memories of our wonderful gift of friendship while displaying His love through others around us.